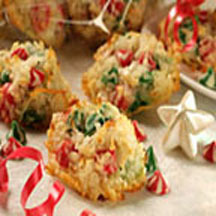 A holiday twist to a traditional coconut macaroon cookie! Preheat oven to 350°F (175°C). Foil-line and grease baking sheets. Combine coconut, sweetened condensed milk and vanilla extract in large bowl. Stir in morsels. Drop by level tablespoon on prepared baking sheets; press each cookie lightly with back of spoon. Bake for 10 to 14 minutes or until lightly browned around edges. *NESTLÉ TOLL HOUSE SWIRLED Holiday Morsels are only available to purchase October through December.